Cherie Reich - Author: Blog Awards! I have been awarded these two fantastic awards by Tessa Quinn! Thank you so much, Tessa! I enjoy reading your blog, and for those that don't know Tessa, she lives in Iceland and she sometimes blogs Icelandic information besides writing about her quest for publication. 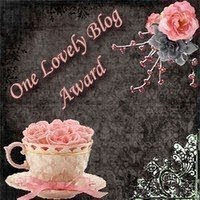 I have received the Versatile Blogger award before, but this is the first time I've received the One Lovely Blog Award. 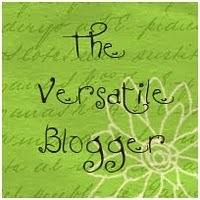 If you want to read my post about the Versatile Blogger award, it is here. Lastly, contact all of the bloggers that you’ve picked for the award. I must admit with work at the moment, I don't have the time to put up everyone who deserves one or both of these awards, but that's okay. It's the thought that counts. So, if you are a follower of my blog, I bequeath the awards to you. I enjoy reading my followers' blogs (I do follow most of you). So, thank you once again, Tessa! !